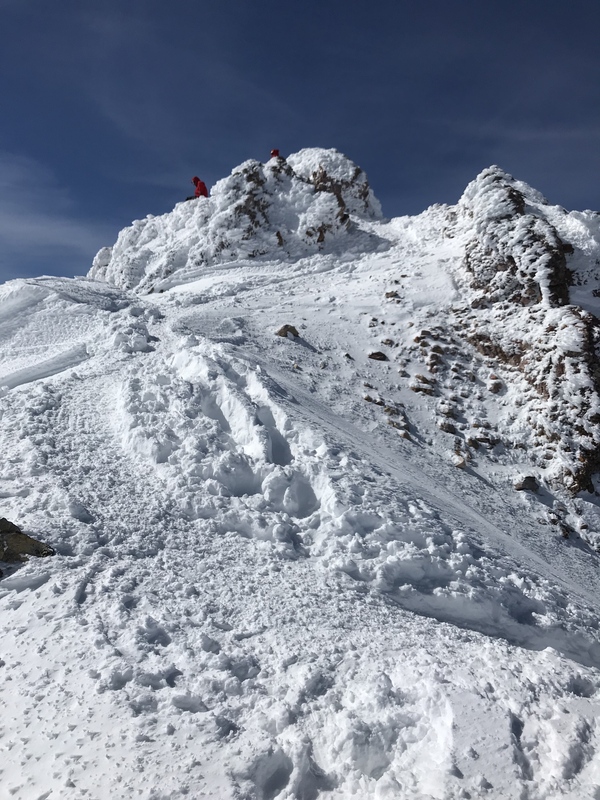 Climbing and skiing conditions are good on the Avalanche Gulch route. From Bunny Flat, approach Avalanche Gulch via the Horse Camp trail. The trail is marked with wands and mostly snow free. Continuous snow exists beginning at Horse Camp where spring water is available and the bathrooms are open. Overall, snow coverage is very good above 8,000 ft. Lake Helen is completely snow covered. Plan to camp on snow and bring enough fuel to melt snow for water. Please pack out everything you pack in and keep your camp clean. Two black and orange poles mark the east side of the camp where climbers can go to the bathroom and use pack out bags in privacy. Above Lake Helen, a good boot pack ascends the gulch to Thumb Rock, passing to the climber’s right side of Redbanks. Watch for icefall and rock fall while underneath Redbanks and the Trinity Chutes. Winter-like conditions exist on the upper mountain. A mix of firm and icy snow surfaces as well as deeper drifts of snow were encountered over the weekend. A good bootpack and plenty of tracks can be found leading all the way to the summit.